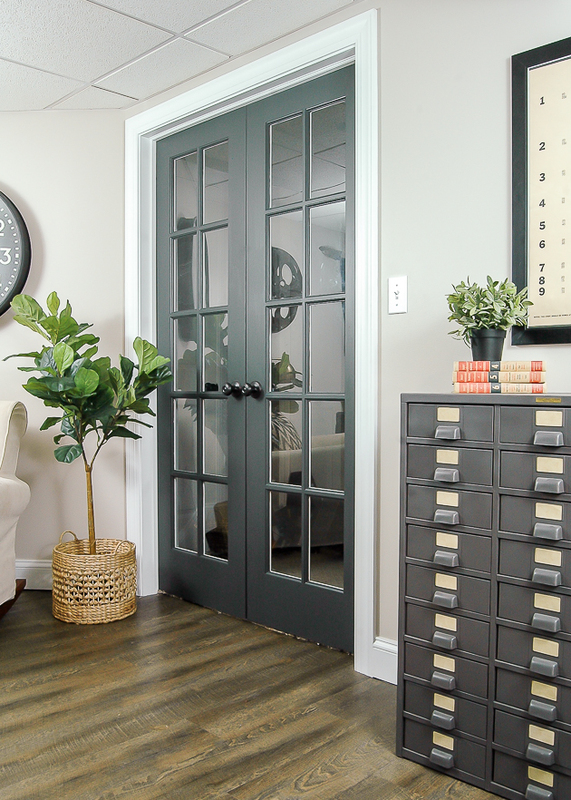 From farmhouse to modern, IKEA has a wide variety of affordable decor to create a beautiful and stylish home! 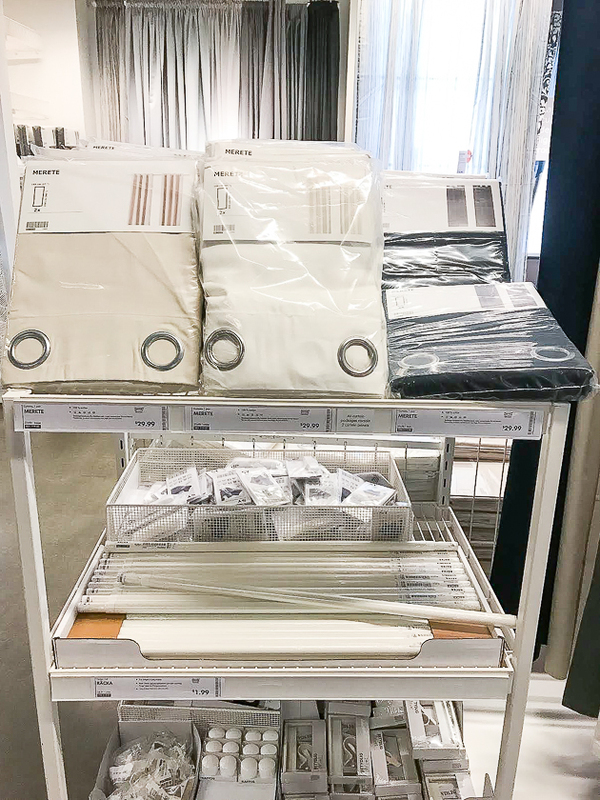 Last year, I shared a must buy decor list from IKEA , but after visiting one of our local stores (we have two within 45 minutes!) 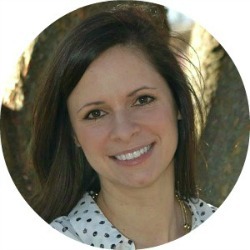 and seeing so many new items I thought it was time to share an updated list. 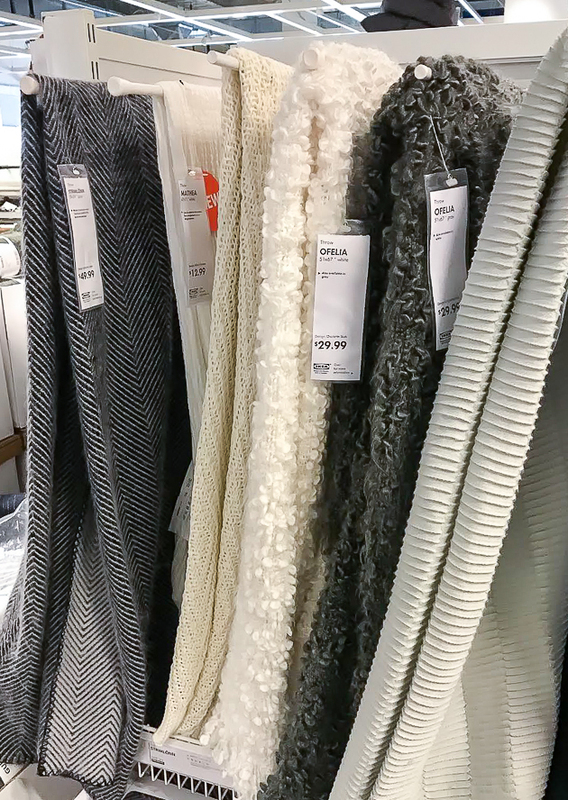 Not only are these items stylish and perfect for any decor style, but they are also super affordable too! 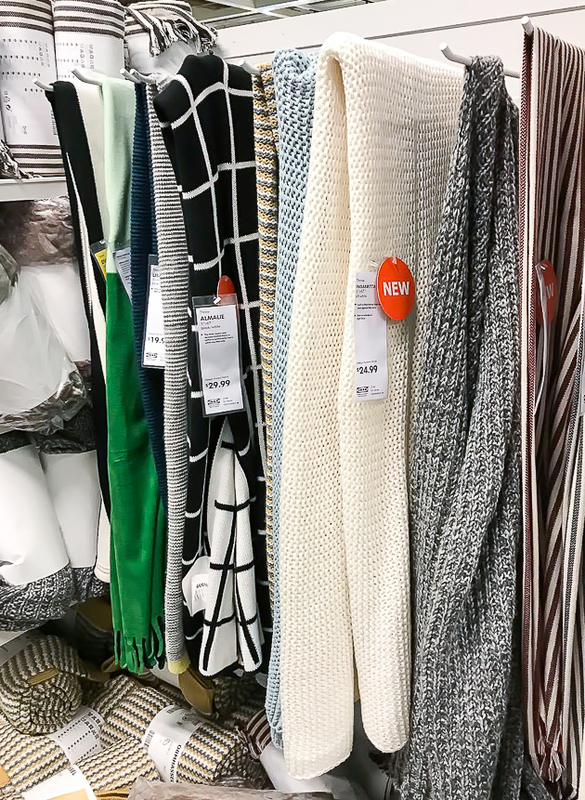 Let's go shopping and I'll take you on a little tour of what caught my eye and what you might want to add to your next shopping list. 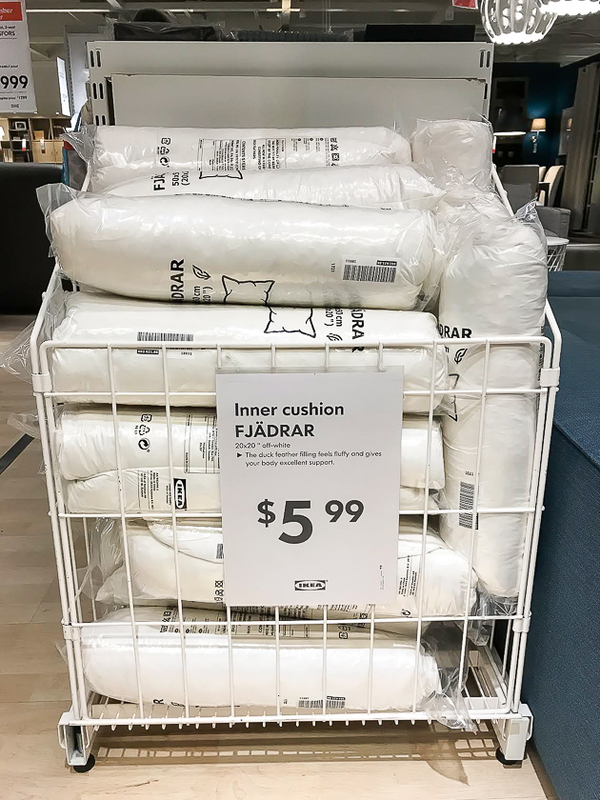 These $5.99 duck feather pillow inserts are not new, but they are by far my favorite IKEA item. 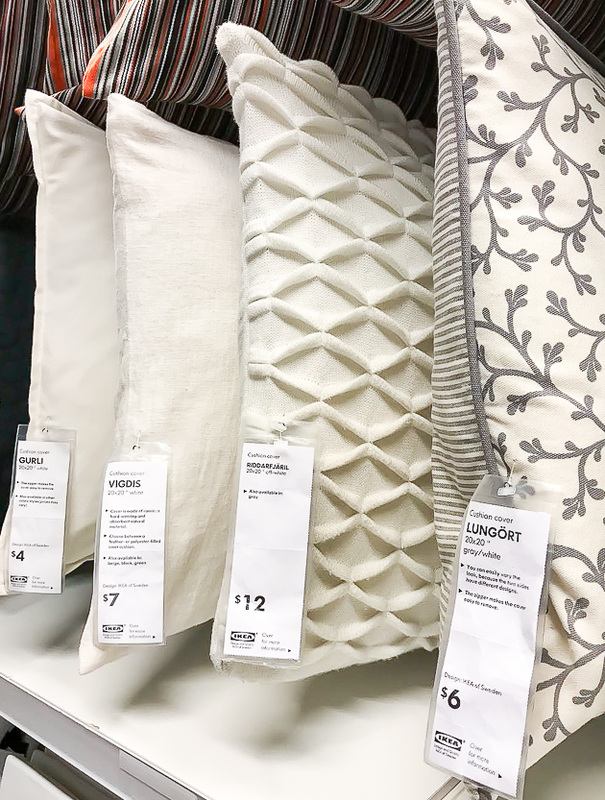 You won't find them cheaper anywhere else (trust me, I've looked) and they are a must for having perfectly plush and styled pillows. 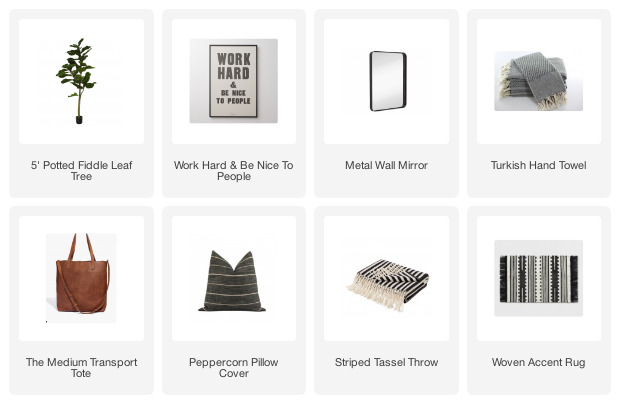 These are the exact pillow inserts I used in my faux leather pillows from my master bedroom update. 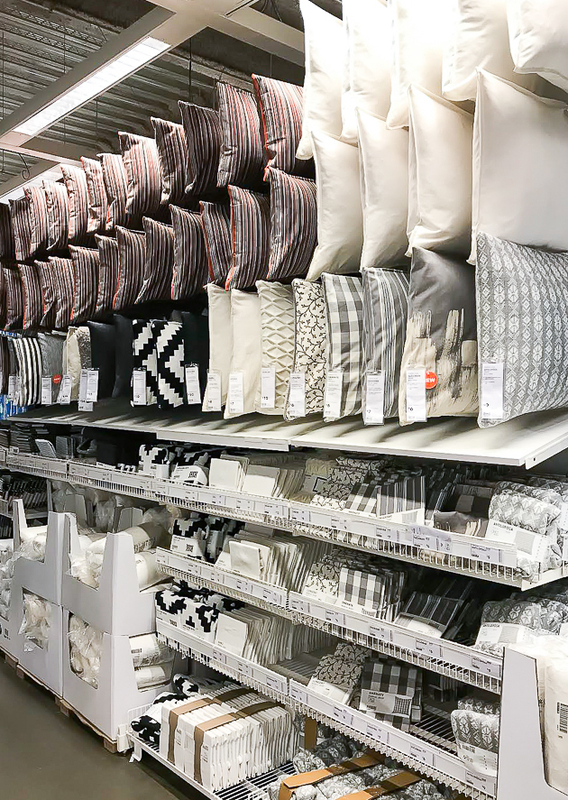 While you're there picking up feather inserts you might as well pick up a few pillow covers, right? 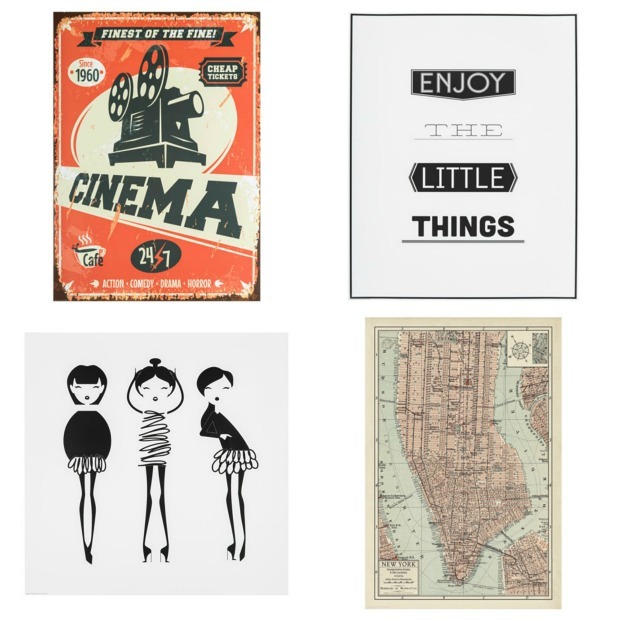 They have such a wide variety with some as low as $6.00! 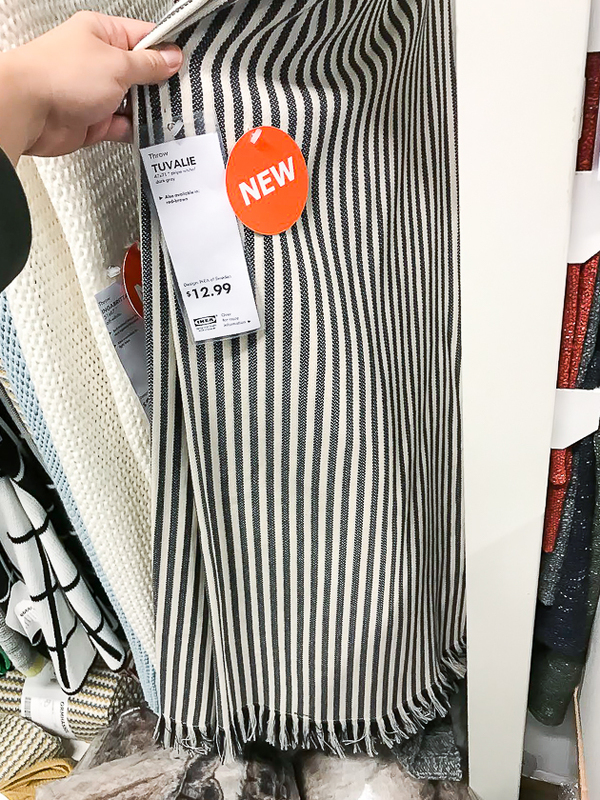 These off white cushion covers are one of my favorites and at $12.99 I may go back and get two. 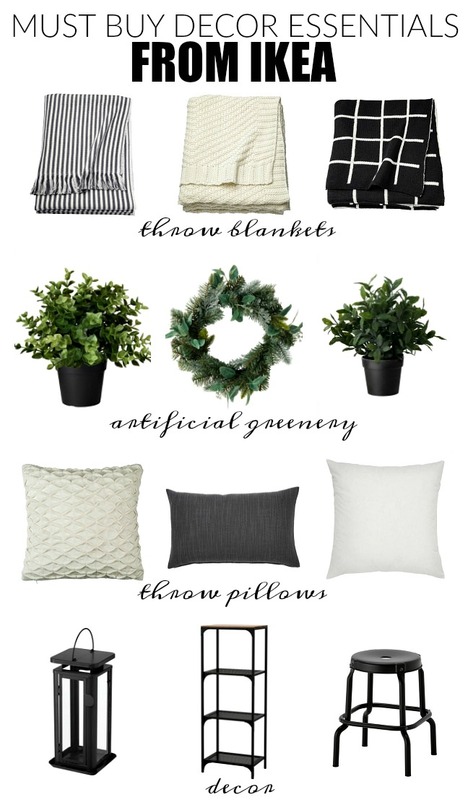 If there's anything I love more than throw pillows it's throw blankets. 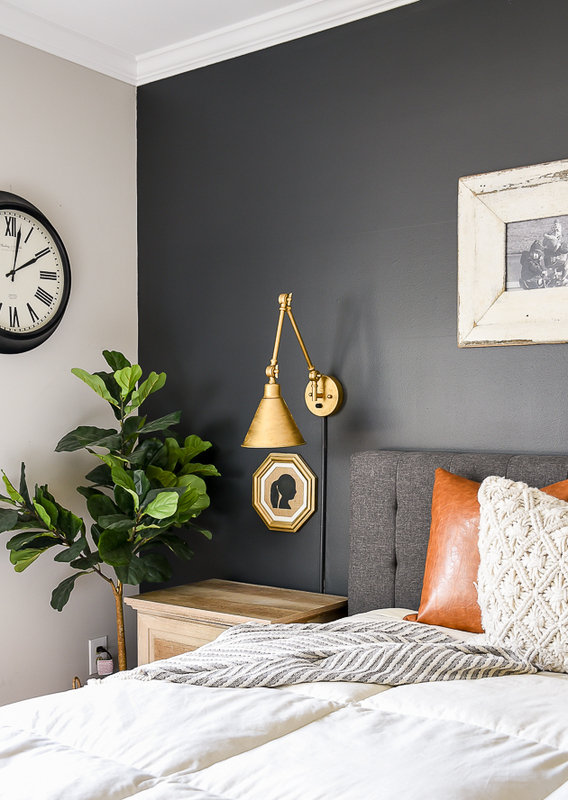 They are such a great way to add warmth and texture to a room and I love swapping them from room to room for a quick update. 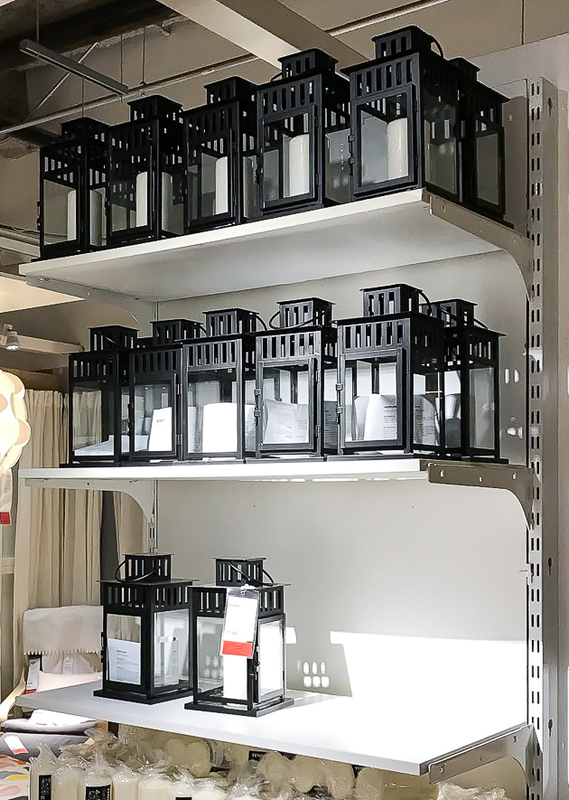 Lanterns are perfect to use all year long and great for both indoor and outdoor use. 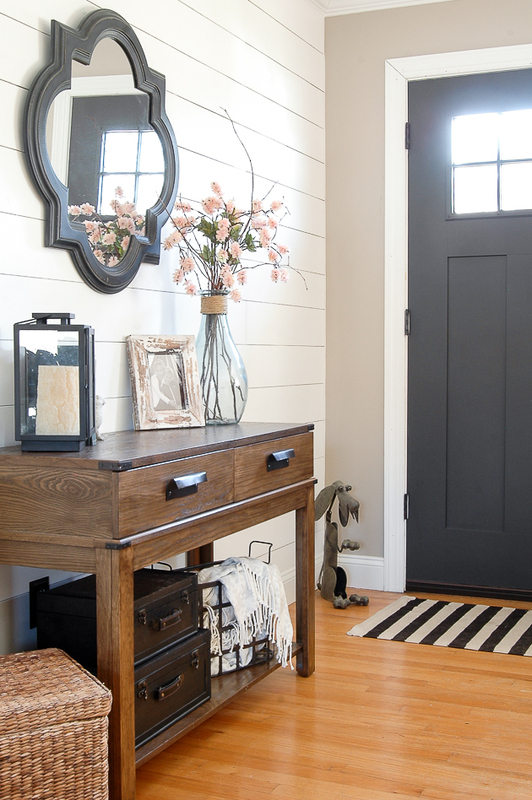 The lantern I have on my entry table isn't from IKEA, but if I didn't already have one I would definitely buy one of their affordable options. 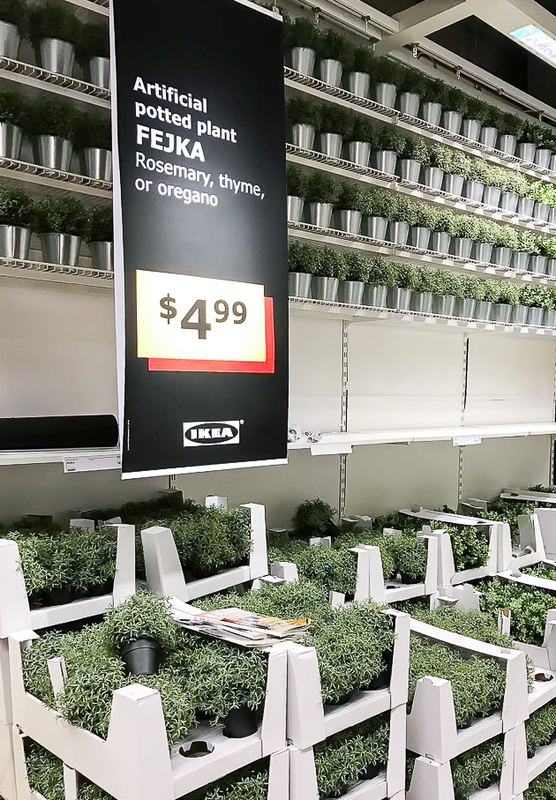 Of course, you all know how much I LOVE my IKEA faux plants. I have 4 or 5 of their faux sage plants, but now they have Rosemary, thyme, oregano, winter greenery and fiddle leaf trees! 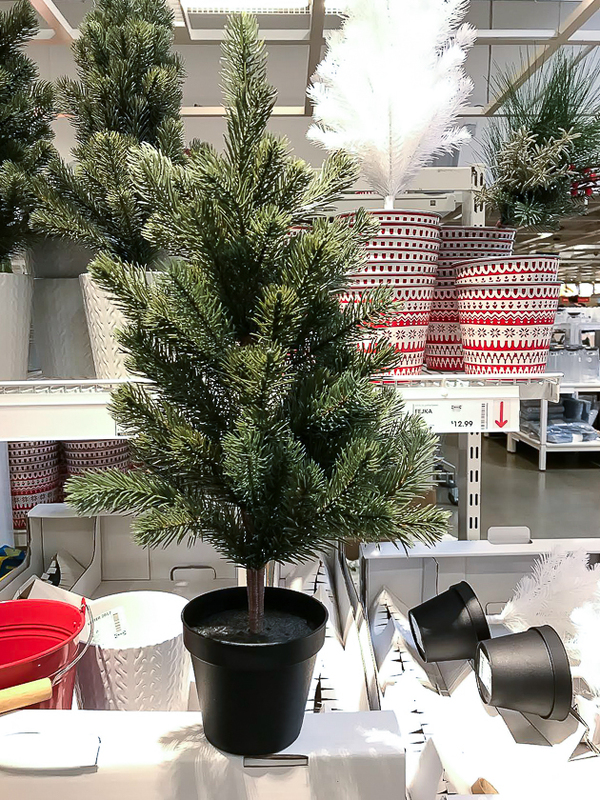 The main reason I went to IKEA the other week was to check out their winter greenery, which included a variety of trees, wreaths and garlands. 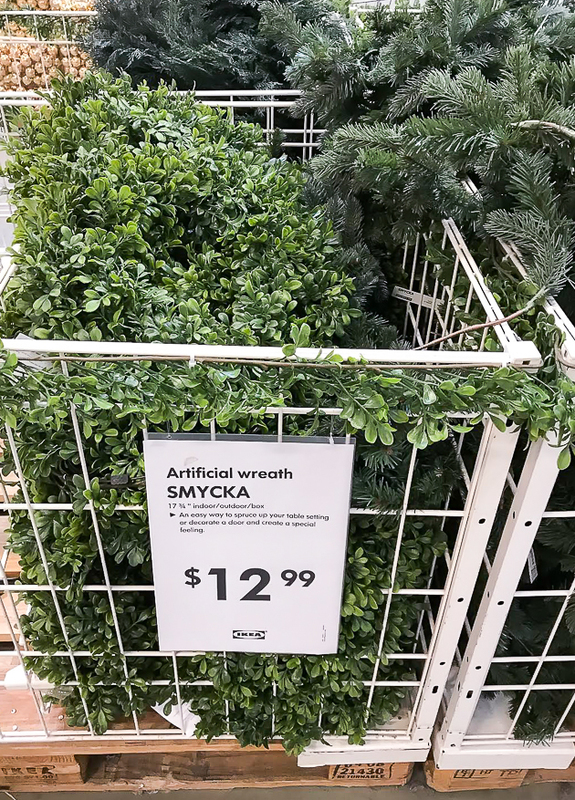 IKEA is by far the best place to get the most affordable and realistic greenery. 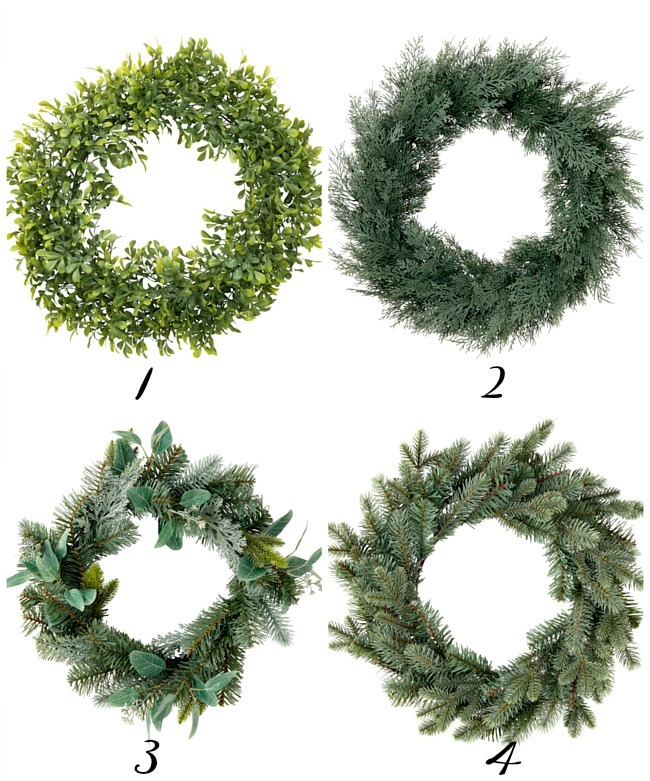 Just check out these 18" Boxwood wreaths for $12.99! 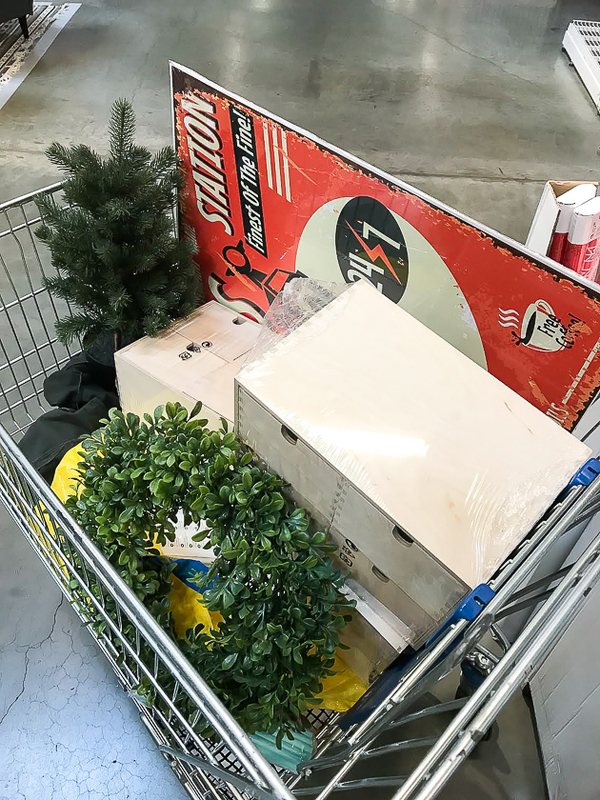 IKEA furniture can get a bad rap for being cheap and lacking in quality, but I've purchased many pieces in the past with no issues. 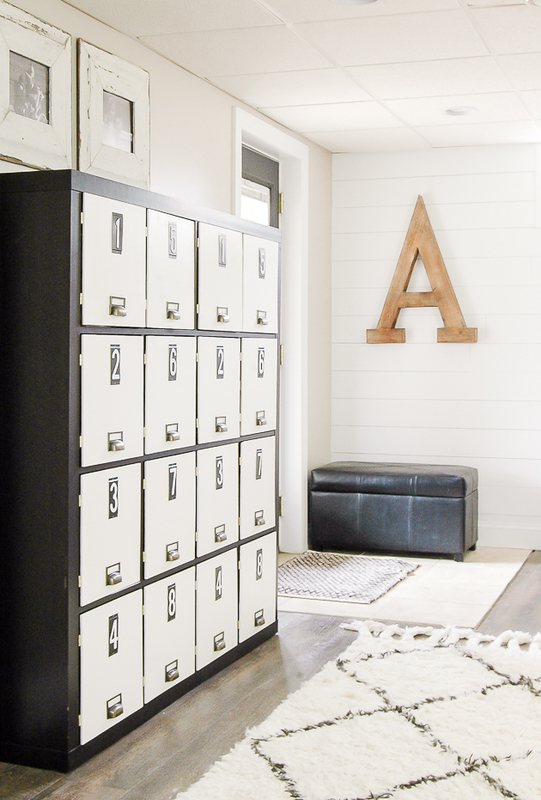 Three of my favorite furniture pieces that I own are the Raskog cart that I use for mobile craft storage, an Expedit bookcase that I turned into lockers and slipcovered dining room chairs. 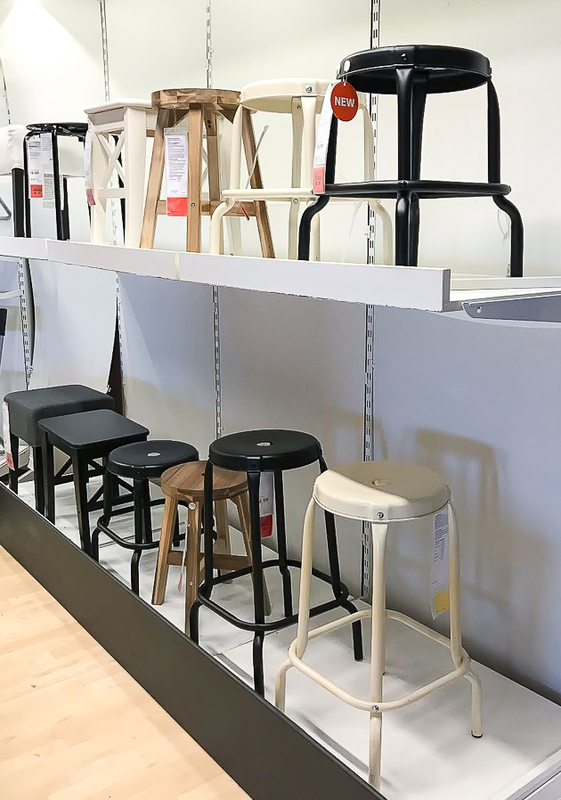 IKEA has come a long way with their furniture and I was pleasantly surprised to see that Raskog now has stools. Aren't they great? 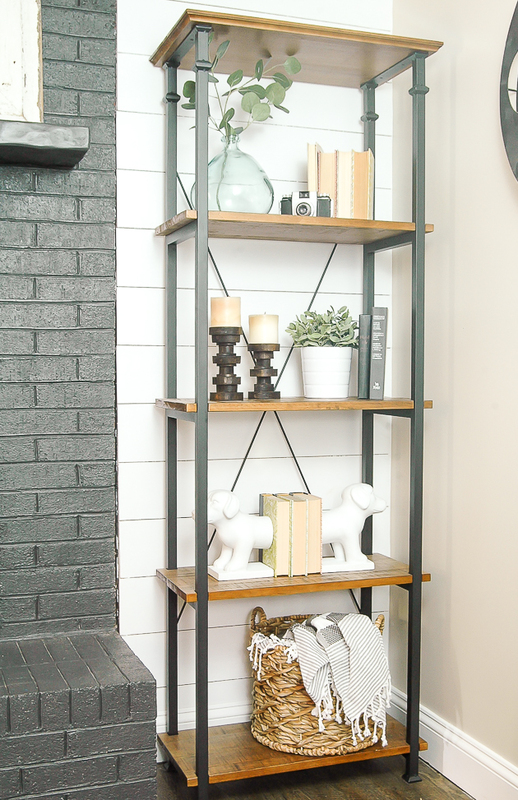 I also love these wood and metal shelves. 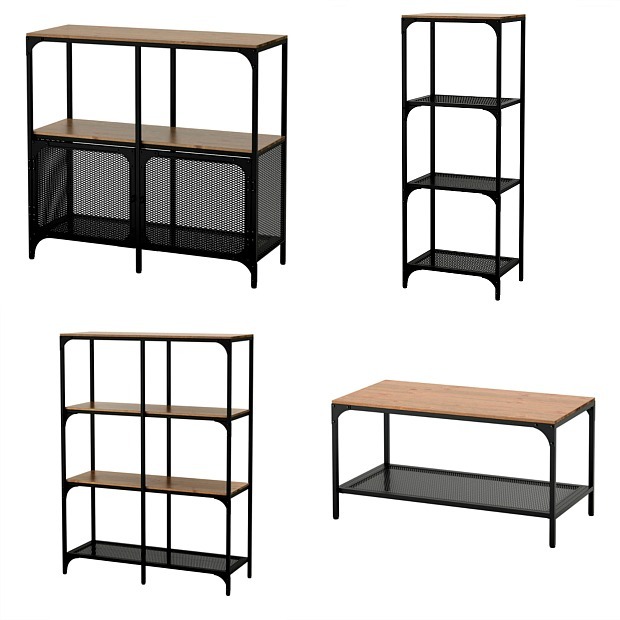 Actually, Fjallbo has an entire line of furniture with a lot of great pieces. 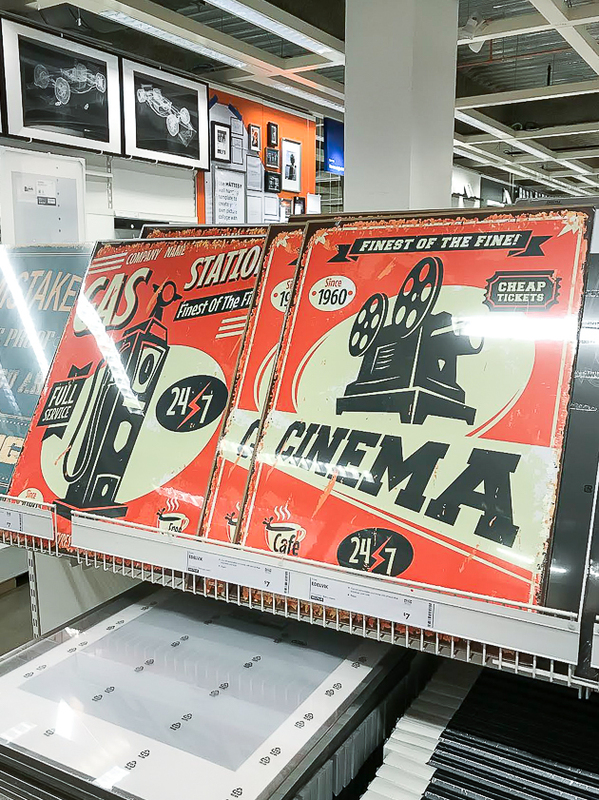 You already know that IKEA is my go-to place for frames, but they also have a ton of affordable artwork and posters too. 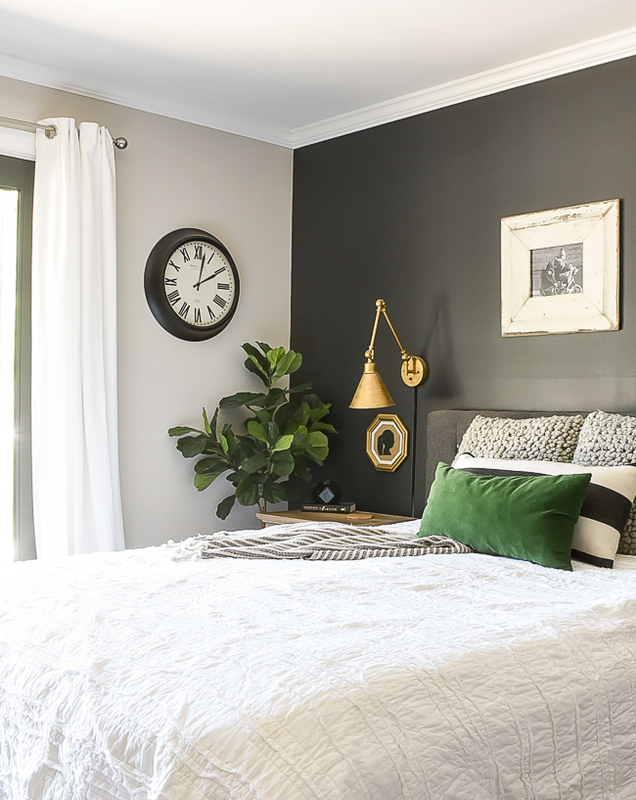 Curtains can be expensive, especially if you want longer lengths. 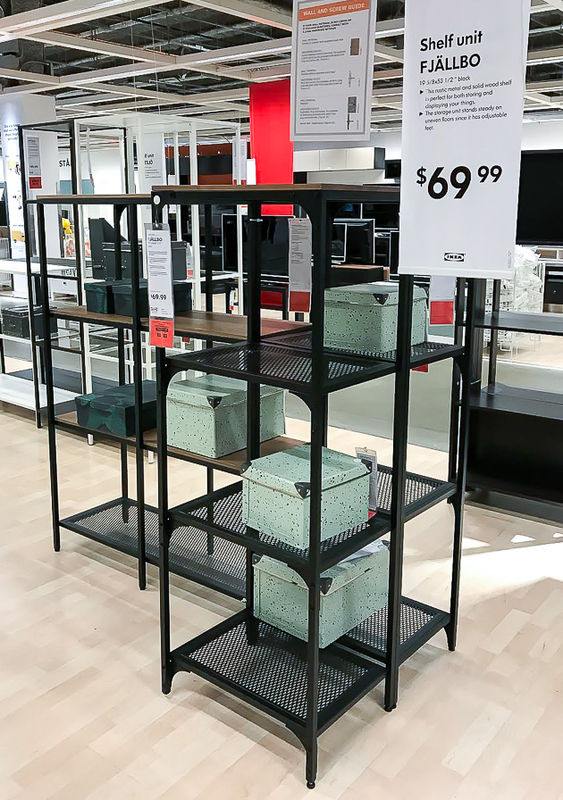 I love that IKEA not only has affordable options (less than $30 a pair! ), but they also come in 98 inches, which is perfect for hanging high and wide. I bought a set of these white grommet curtains that I think will be perfect for either our bedroom or living room. I managed to make it out of the store with only minimal damage, but that doesn't mean I'm not already planning my next trip! 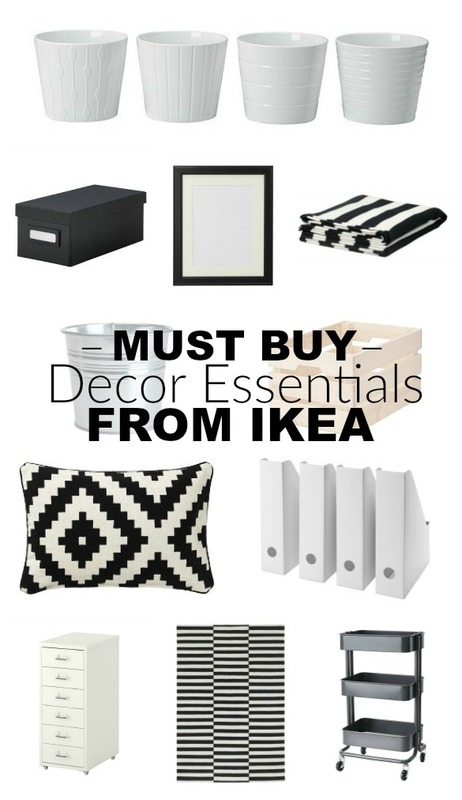 You can find more of my favorite must buy decor essentials from IKEA here. 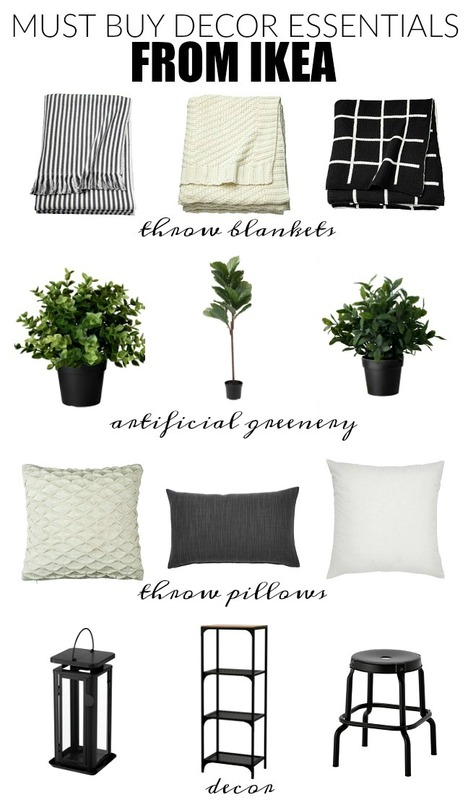 all of those are pretty good, I am a big fan of the pillows and curtains. 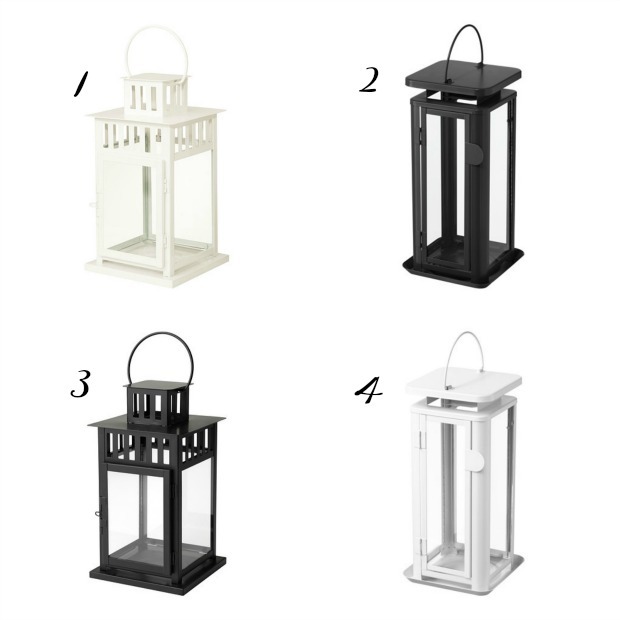 I will definitively check out the lanterns, the large black one looks really nice. 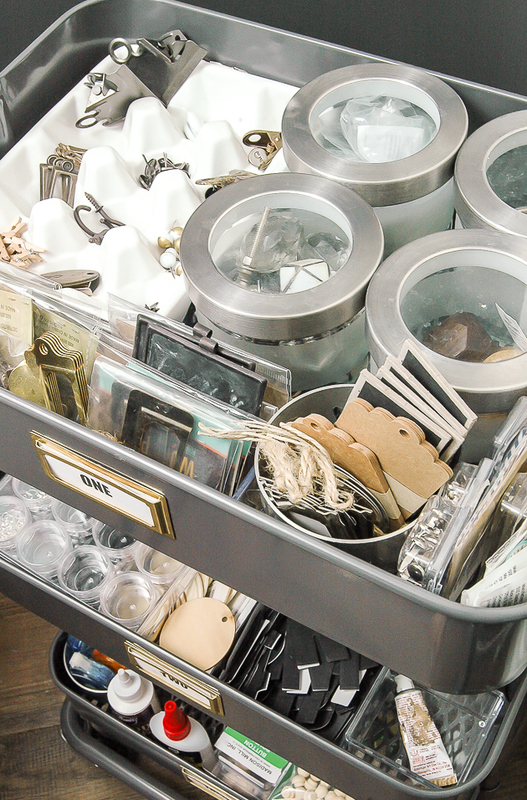 Thank you so much for sharing so many wonderful items. I love many of the selections you showed.